Why would I need self storage in Pinole, CA? There are a variety of reasons why you might need self-storage in Pinole, CA. How much is a storage unit in Pinole, CA? The cheapest storage unit in Pinole, CA is $68.00 per month. What size storage units do you have available in Pinole, CA? In Pinole, CA we have sizes that range from 4'x5' to 10'x30' to suit your storage needs. How much is it for a 4'x5' storage unit in Pinole, CA? The cheapest 4'x5' storage unit in Pinole, CA is $79.00 per month. Pinole is a relatively small city in Northern California, spanning just under 12 square miles, over half of which is water. It's located about 30 miles from San Francisco, which makes it an appealing home if you like the Bay Area but prefer a smaller-city lifestyle. The Pinole population is diverse and has been growing at a steady rate over the past few decades. The Huchiun Native American tribe first called the area home. In the early 17th century, a Spaniard named Don Pedro Fages brought his troops through this part of the state, and when they ran out of food, local Native Americans provided them with sustenance. The word "pinole" refers to a common Native American flour, so Fages christened the town El Pinole in honor of his experience. The early settlers built a thriving community in Pinole, setting up trading depots and other businesses. The arrival of the railroad spurred further economic development, which included a plant that produced TNT. During the First World War, Pinole served as the largest supplier of explosives in the nation. Pinole didn't incorporate until 1903, at which point it already had several local businesses, including a newspaper, a post office and a school. There was also a theater and an opera house. The oldest part of Pinole is called Old Town, and it still retains much of its historic charm. Some of the earliest buildings constructed in the area remain standing to this day, including stately Victorian manors, cozy Craftsman bungalows and elegant Mediterranean buildings. Pinole's close proximity to the bay and its beautiful weather make it a popular city in the area. While you might have to battle the occasional bout of fog, the consistently mild temperatures make this a comfortable place to live. 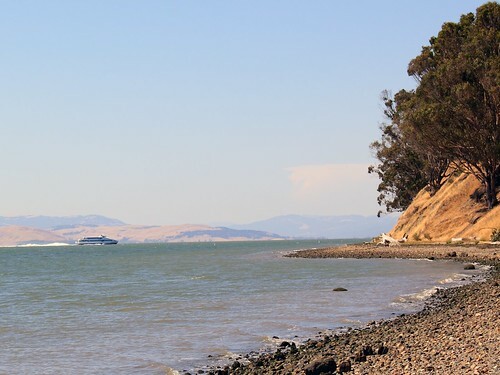 The Point Pinole Regional Shoreline offers a scenic place to enjoy sunny days, while Pinole Valley Park provides over 200 acres of green space, sports fields and children's play areas. At Fernandez Park, you can take part in the city's many community events. During the holiday season, locals gather for the annual Christmas Tree Lighting. Another major local event is the Annual Pinole Car Show, drawing visitors from all around. If you're planning to join the Pinole job market, your prospects are good. The city's unemployment rate is lower than the California average. You can find a number of retail and service jobs at local businesses and shopping centers, including Old Town Pinole, Pinole Vista Crossing and Pinole Vista. The West Contra Costa Unified School District is responsible for the public schools in Pinole. There are also several private schools in the city, plus several colleges and other institutes of higher education. Utilities: Pacific Gas and Electric is the city's central energy provider. The East Bay Municipal Utilities District manages water services throughout Pinole. Garbage and Recycling: You can expect regular collection of your trash and recyclables. Transportation: Public transportation in and around Pinole is facilitated by Bay Area Rapid Transit (BART), WestCAT and Transit 511. Child Care: The Contra Costa Child Care Council can help you find child care for your family, providing referrals and resources for choosing a day care or home care provider that's a good fit for your children. The median home price in Pinole is much higher than the national average, but actually very affordable for the Bay Area. Many people who work in San Francisco choose to live in Pinole due to the budget-friendly housing options that are available. Our lowest priced units in Pinole, CA average $75.33 per month. 76 people have reserved units in Pinole, CA in the past 30 days. There are 3 locations within Pinole, CA's city limits. There is 1 location in Pinole, CA that offers AC and Heating features.